This statistic displays BBC future media (digital media) spending by medium in the United Kingdom from fiscal year 2011/12 to 2017/18. 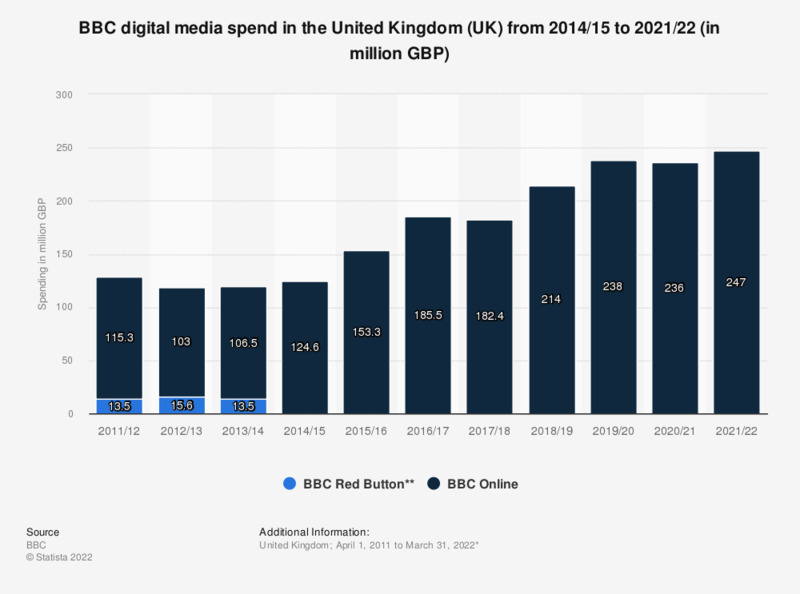 In fiscal year 2017/18, spending on BBC Online and Red Button reached 182.4 billion British pounds. Data for years prior to 2017/18 were published in earlier annual reports. ** Annual reports from 2014/15 onwards combine BBC Red button and BBC Online.